At BrainMobi, our development practices are most often based on the Agile approach of software development. 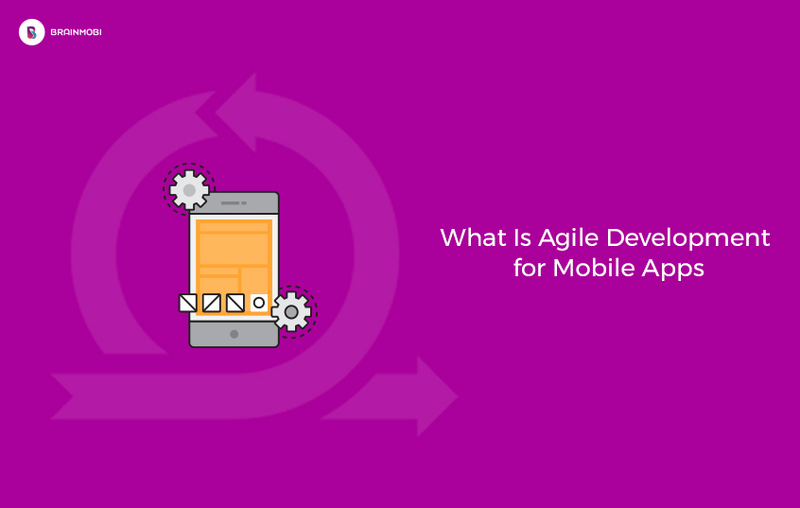 On basis of specific requirements of the mobile app, the agile mobile app development mainly focuses on customer involvement, flexible planning, constant evaluation and — of course — risk management. As a result, Agile based mobile app development projects get completed before the scheduled time. Our team of top mobile app developers strongly follow the agile methodology with regular client communication to ensure the final product is closest to expected product. All of these characteristics collectively bring more tension for top mobile app developers to carefully choose an approach which can reduce wastage of labour & time while bringing a sign a relief for both clients and development agencies. But how it would be made possible to build high-quality mobile apps across such mayhem around development approaches? The answer is Agile development. Agile application development is the approach of developing a product where the whole process is divided into a series of development cycles. In fact, when using Agile for mobile app development, the entire array of tasks is divided into multiple sub-tasks, each of which is a separate mini-project for the development team. Assignments are distributed to the concerned team of experts as well as teams are also divided to follow the agile methodology. Each assignment is a piece of job and treated as a unit of an independent project. Under the influence of the agile approach, companies successfully reduce the scope of development risks, including errors to a great extent. Agile applications development also accounts for regular communication within and between groups; constant interaction, both in project development environment and between customer and contractor. This means that if a customer or project leader suddenly raises new demands to the product, it bears virtually no effect on the time spent and app marketing. Changes that are commanded, as a result, are further assigned to one of the teams which do not slow down the project as a whole. Developed and formulated in 2001, Agile Approach has been in use for 15 years to the day, during which it proved to be functional, effective and relevant. The method was used in the development of many projects, including most successful and well-known. Today, the Agile method is the basis of productivity in many prosperous IT companies. When we begin a mobile app development project at BrainMobi, we break down functional requirements into user stories, which then become the foundation of our app development schedule. We usually work within the framework of two-week sprint sets and iterate continuously until we reach substantial milestones on the mobile app. Sometimes this includes an incredibly large number of business requirements. We’ve worked on projects with as many as 3,500 requirements. Agile development makes it possible to break down all these requirements into smaller, manageable chunks. Don’t forget to share your experience while using Agile Paradigm across your project in the comment section below.